PATIENTS FAILING TO turn up for their hospital appointments are costing the State almost €12 million a year. 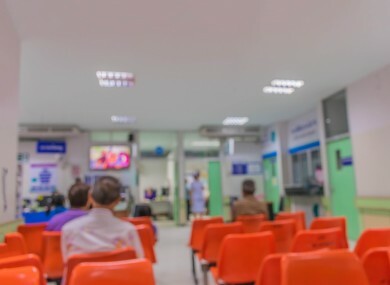 The latest Health Service Executive (HSE) data shows that 135,000 patients did not attend new appointments last year, while 343,000 failed to show up for their review appointments. Minister of State Catherine Byrne said the general non-attendance rate stands at approximately 13% – adding that the administrative cost associated with non-attendance is approximately €25 per patient visit. Fine Gael TD Tom Neville told the minister that in his own constituency, University Hospital Limerick has a “no shows” rate of almost 17%. Byrne said “digital solutions” could tackle the problem of non-attendance by patients, with the minister stating that eHealth Ireland (a group which aims to improve health service efficiencies through the use of technology) has proposed that a standardised national patient reminder service using text message or email be rolled out. This standardised national text reminder service project has already been initiated, she said. “This solution has the potential to reduce the number of people who do not show up for appointments and in addition, to allow current processes to be adapted and new procedures to be built to reallocate those appointments slots to other patients,” said the minister. Neville said text reminders are used by utility companies, telephone providers and alarm companies, so there should be no issue rolling it out for hospital appointments. “Mobile phone operators alert their customers to the fact that their bills have been issued, waste companies remind customers to put out their bins in two or three day’s time and so forth. Reminders are issued regularly. Such customer focused, interactive systems are needed in the health services, particularly in the context of waiting lists because such systems would allow us to combat the challenge of such lists,” he added. In addition, under the new outpatient reform programme, the hospital system will be moving to advanced booking systems which will give patients two choices of appointment time, said Byrne. “This has been shown internationally to dramatically reduce patient failure to attend. There is also a further proposal is to validate waiting lists using SMS reminder messages which will quicken the validation process, reduce workloads and increase efficiencies,” she said. A pilot programme is to be initiated shortly for both inpatient and outpatient services using text message reminders for appointment validation purposes. It’s understood these initiatives are being progressed in conjunction with the HSE’s outpatient waiting list action plan for 2017, details of which the Minister for Health, Simon Harris, will be announcing details of shortly. Email “Hospital patient 'no shows' are costing the State nearly €12m ”. Feedback on “Hospital patient 'no shows' are costing the State nearly €12m ”.